In any form of racing, you want to find as many advantages as possible. Team Associated has introduced their latest 1/10-scale, 2wd competition buggy, which aims to provide a lightweight R/C kit that won’t skimp on power. The RC10 B6.1 Factory Lite Team Kit is built upon Team Associated’s well-known, and much-raced RC10 B6 platform. Earlier versions of this buggy have captured many race wins and championship titles, so this “lite” version has a solid history of performance. The largest difference between this RC10 B6 variant is the weight. Over 45g of weight has been removed from the original kit, making this an attractive option for spec-class racing. The RC10 B6.1 Factory Lite kit features direct drive, putting efficient power to the rear wheels and keeping weight low. A blend of aluminum and nylon chassis components also help keep this buggy slim while also retaining adjustability and tuning. 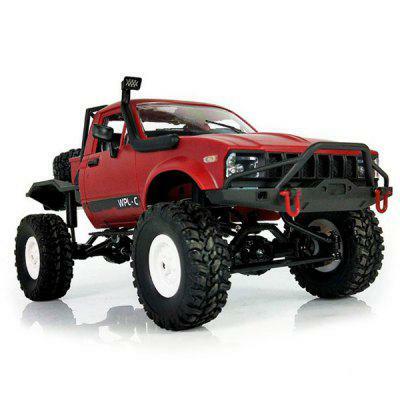 The items required to complete this kit build are a 540-size motor, ESC, 7.4V LiPo battery, battery charger, radio system (receiver and transmitter), steering servo, pinion gear, wheels, tires, tire glue, and polycarbonate paint for the body. Priced at $329.99, the Team Associated RC10 B6.1 Factory Lite Team Kit will be available both online and through your local Team Associated dealer. Visit teamassociated.com for additional details about this competition kit.